Today's ink is Robert Oster Lemon Grass. 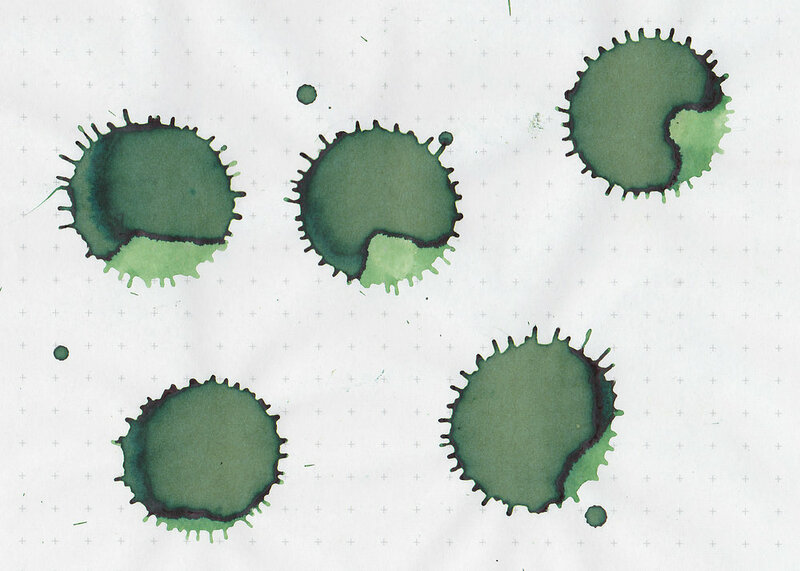 I purchased my sample of ink from Vanness Pens. Lemon Grass is available in 50ml bottles. I had the lettering all done for this post, and then my three year old decided to dump some water on it, so I had to re-do it. Luckily I had enough ink since I accidentally bought two samples of this ink. 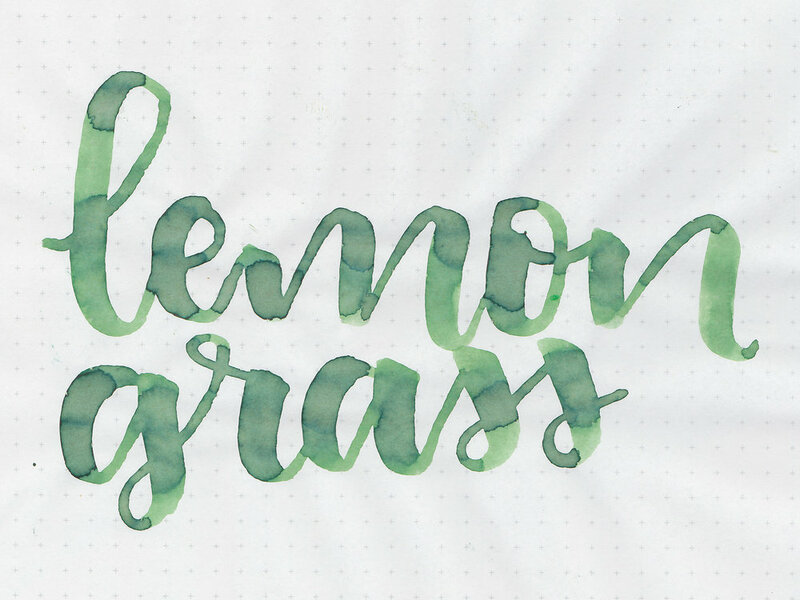 Lemon Grass is a medium-dark green. 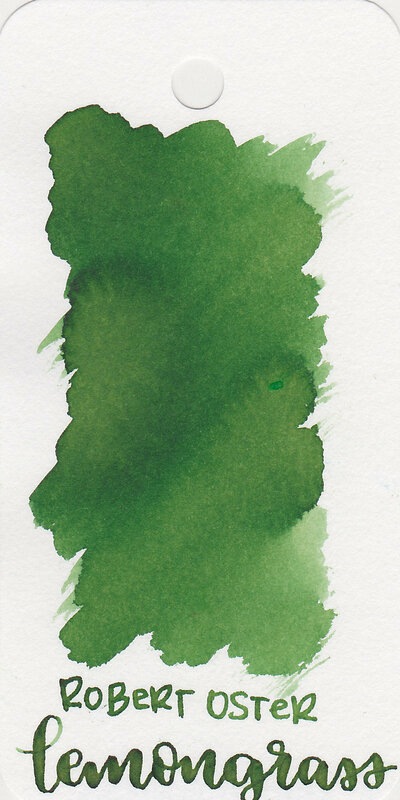 Ink swabs for comparison, left to right (top to bottom for mobile RSS): Robert Oster Jade, Robert Oster Lemon Grass, and Robert Oster Eucalyptus Leaf. Click here to see the Robert Oster inks together. Out of these three, I think Jade is my favorite. 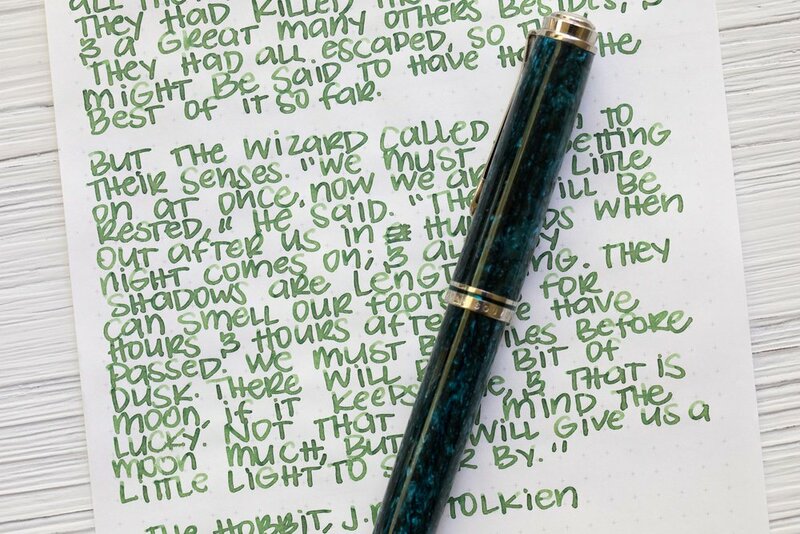 Anderson Pens Green Bay, Sailor Jentle Epinard, and Robert Oster Moss. 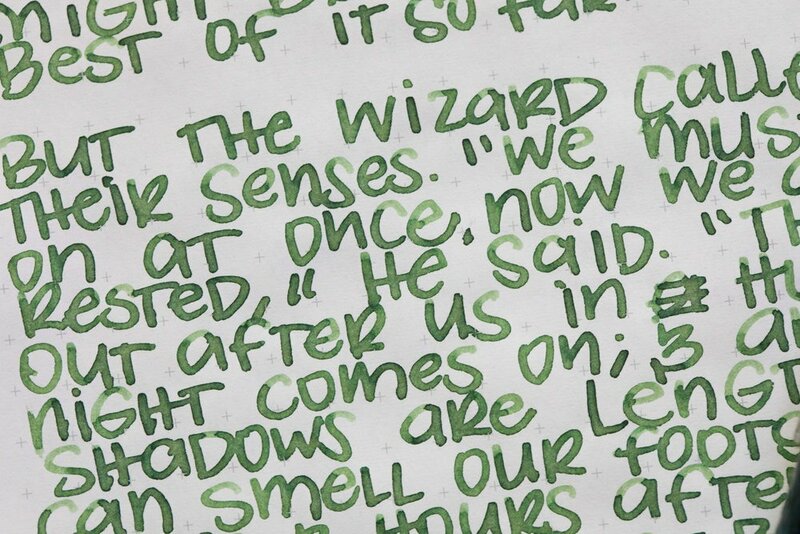 Click here to see the green inks together. 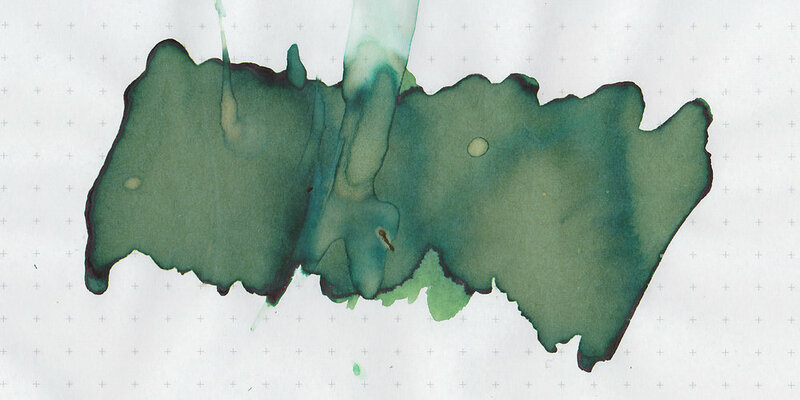 I used a broad Pelikan Ocean Swirl on Tomoe River paper. The ink had an average flow. I have noticed that I get the most shading out of inks by using a western medium/japanese broad nib and printing instead of doing cursive. Since I used a Pelikan broad nib, which is really wet, there isn't as much shading as there could be in a slightly drier nib. Overall, it's a pretty well behaved ink. I don't love it as much as Robert Oster Jade or Robert Oster Eucalyptus Leaf, but it's still a nice color. Give it a try, you might love it.